The McGriff family needs our help. 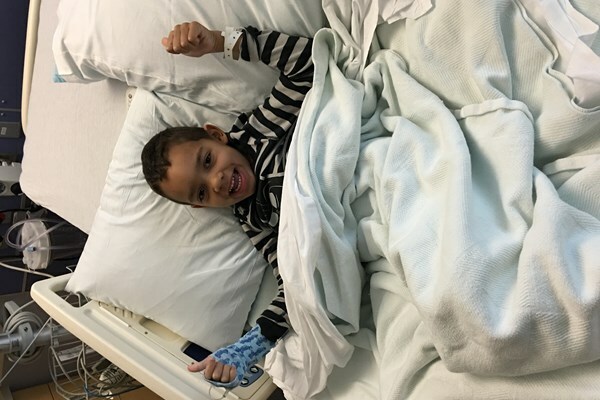 Let's be generous givers to let them focus on spending time together as a family, meeting Ollie's many needs, and working with the medical staff to ensure the best care and treatment possible. They will have medical bills, childcare costs, fuel/travel expenses, time away from work; the list goes on and on. Thinking of all of you- So glad Ollie is home and feeling better! Thinking about you, Ollie. Stay strong! Sending Ollie all our love! God is with you always! Ollie we love you and Pray for God to ease your pain and for the doctors to be guided to a solution. Father God, we pray for Ollie who dealing with sickness in his body. We ask that you would restore his health, soothe his pain and ease all their worry. Give them your peace and comfort as they wait. In Jesus' name, Amen! Wishing you a speedy recovery from the Nguyen family. My dear Jillian: I wish I could do more for you, but please know that you, Ollie and the rest of your family are never far from my thoughts. So many hugs! We are here for you. Don't hesitate to call day or night. We are lifting you all up in prayer. Let us know if you need anything. Thinking of our sweet Ollie and McG Family! Sending prayers of strength and love.